Your kitchen may well be the center of the family home but it can also be a danger zone as far as young children and toddlers are concerned. Here are few helpful tips make your kitchen child-friendly and you help practice kitchen safety for kids. This post is brought to you by Potsafe, a kitchen safety accessory. All opinions expressed are my own. Kitchen safety for kids is important year round but as the holidays approach and there is so much happening in the kitchen and so many distractions, it is a great time to review some basics of cooking safety for kids. These tips focus more on the toddler age group but apply many children who may not have learned kitchen safety up to 12 years old. Kitchen safety is serious business. According to The Burn Foundation, over 500,000 scald burns occur annually in the United States! Continuous and adequate supervision of children in the kitchen is of prime importance but during the holidays with so many other distractions or on busy weeknights, things sometimes go wrong. That is why POTSAFE was invented to protect children from accidental burns. Potsafe is a revolutionary new kitchen safety accessory that fits easily to your existing ceramic/glass induction or electric cooktop. It assembles and secures in minutes and ensures that curious toddlers do not pull a hot saucepan down from the stove. Potsafe is perfect to help you protect your loved ones. Learn more or order at potsafe.com Thanksgiving and Christmas are about family and cooking so this makes a perfect gift to give to to have around this time. You can get 10% off and free shipping in the USA using the code FOCUS POTSAFE. As soon as your child can crawl and climb it is a given that they will want to embark on a journey of exploration around the kitchen, opening cupboards and drawers and then proceeding to examine the contents of each. One of the best ways to protect your child from harm in the kitchen is to invest in locks for these cabinets and drawers. It is also an excellent idea for kitchen safety for kids to secure the door to the refrigerator and/or freezer to ensure that a small child does not become trapped in either. Some childcare experts suggest leaving one cupboard or drawer lock-free and filled with safe things for your child to play with while you are busy working in the kitchen; plastic bottles or a toy tea service that you can fill with water might be a couple of possibilities for this “play drawer”. For very young children a playpen in the kitchen is probably the safest way of allowing them to play safely in close proximity to you while you get on with your cooking. Many kitchens have an kitchen island area for the preparation of food and also for use as a substitute table, and encouraging your younger school-age children to do their homework here will allow you to chat and bond with them, and also make them feel a part of the domestic life of the family. You can also take this opportunity to show your child some basic cooking techniques, particularly as they get older. Since most small children spend their early years crawling around on the floor picking up everything that comes into range – and usually putting most things in their mouths – it is important to keep your kitchen as clean as possible. A thorough sweep with a broom should take care of any food particles, and increasingly childcare experts recommend that the floors and countertops be cleaned with eco-friendly cleaning products which do not use harmful chemicals; using these products will help to ensure that your child plays in a safe environment. Key to kitchen safety for kids is that all cleaning products and household chemicals should be stored in areas your child will not have access to. As your child gets older it is also important to reinforce that household chemicals and other toxic substances are dangerous, and that they should stay away from them. If you are cooking or cleaning and are worried about your child being in the kitchen it may be a good idea to fix a child-proof gate across the entrance. Make sure that all sharp objects– including knives and other utensils – are put away, and be sure to pick up any dropped utensils immediately so that you don’t forget about them. You should also make sure that all portable electrical appliances are unplugged and stored out of your child’s reach. Make sure that any animal food bowls are only down when the dogs or cats are actually using them. Kitchen dining tables and chairs should not be placed in close proximity to any surfaces which your inquisitive child might wish to climb onto and explore. If your child shows an interest in cooking, do show them some of your techniques, but make sure that they understand they must never try any cooking unless you or an adult is present to help them. 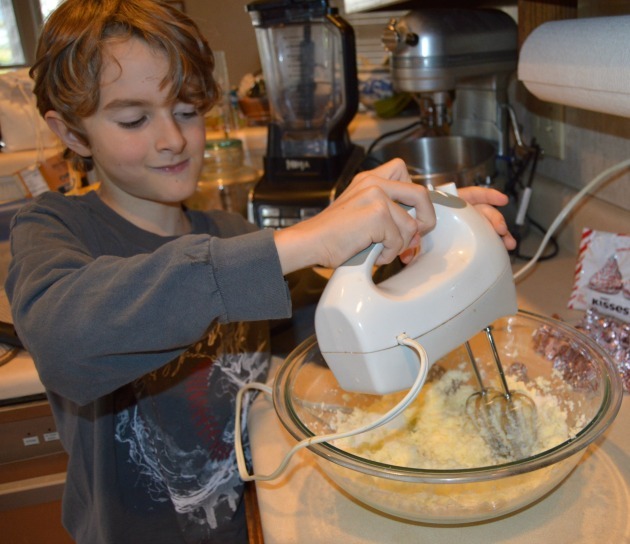 Cooking with kids is fun as long as you practice kitchen safety for kids. Has your child shown an interest in the kitchen? Does your child like to cook? Don’t forget to get the revolutionary new kitchen safety accessory Potsafe help protect from accidental burns. Learn more or order at potsafe.com and get 10% off and free shipping in the USA using the code FOCUS POTSAFE. If you want to make your kitchen as child friendly as possible, you must follow these tips. Wow! Nice ideas, and I love to follow this for my kids sake! Thanks for sharing your tips.